Brazilian neuroscientist, Sidarto Ribeiro is Director of the Brain Institute at Universidade Federal do Rio Grande do Norte (UFRN), which he joined in 2008 as Full Professor. 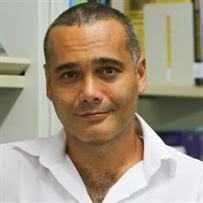 From 2009-2011, he served as Secretary of the Brazilian Society for Neuroscience and Behavior. Sidarta Ribeiro is currently the Chair of the Regional Committee in Brazil of the Pew Latin American Fellows Program in the Biomedical Sciences. He is also member of the Steering Committee of the Latin American School for Educational, Cognitive and Neural Sciences.